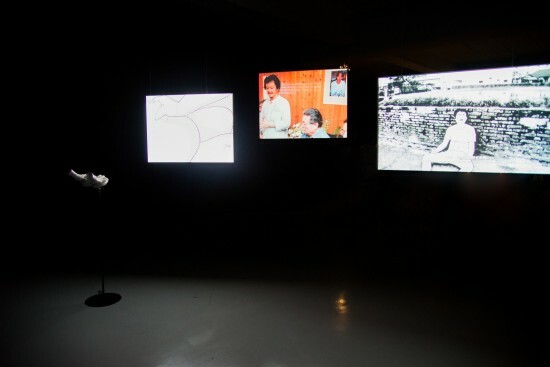 Hsu Che-Yu – Microphone Test (2015), installation view in the 14th Taishin Arts Award Exhibition at the Museum of National Taipei University of Education (MoNTUE), 2016. Courtesy Taishin Bank Foundation for Arts and Culture, Taipei. The prize winners of this year’s 14th edition of the Taishin Arts Award have been announced, with Hsu Che-Yu taking the grand prize of NTD 1.5 million for his exhibition at the Taipei Fine Arts Museum (TFAM) in late 2015, Microphone Test. Taiwan’s most prestigious prize for contemporary performing and visual arts, the annual Taishin Arts Award recognizes outstanding works of dance, theatre, music and visual arts that have premiered in the preceding calendar year. A single-channel video installation, Hsu’s Microphone Test was inspired by a collection of short stories of the same name, by the author Huang Kuo-Chun, investigating the intersections between life and technology. Hsu in turn used his work to address the nature of memories and how they are constructed and perceived. He took memories recounted by acquaintances as the basis for an “animated documentary” in which real people are replaced with fictional characters and the boundaries between reality and fiction begin to blur. In addition to the grand prize, four annual prize winners were each awarded NTD 500,000. This year’s annual prize winners were Lee Mingwei, for “Lee Mingwei and His Relations: The Art of Participation” at TFAM; Chu-Yin Culture and Arts Troupe for Mailulay: Traces on the Wall; Body Phase Studio, for Wall of Fog, 2015 TIFA; and the National Center for Traditional Arts Guoguang Opera Company, for The Painting of 18 Lohans. All the prize-winning works are on view in an exhibition at the Museum of National Taipei University of Education (MoNTUE) through July 17.